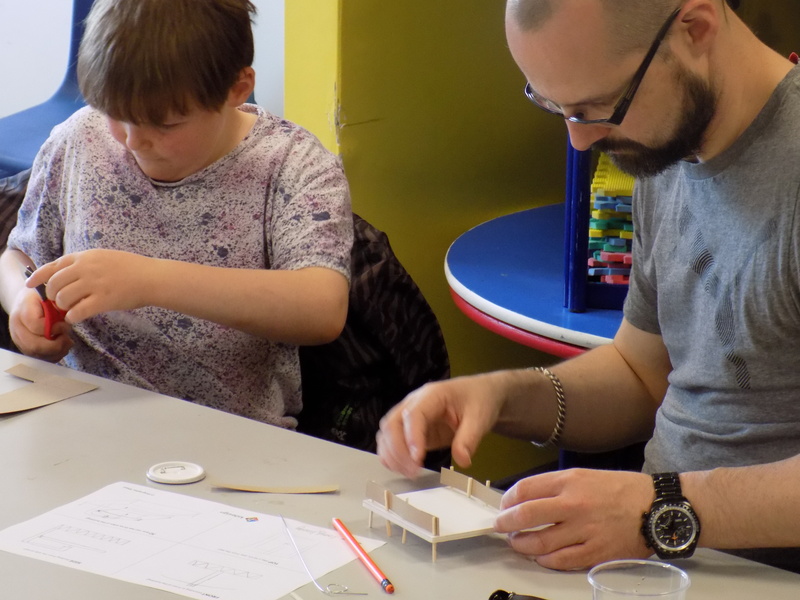 On Saturday the Build Your Own Pavilion team headed up to the East Midlands for workshops in Sleaford and Nottingham. 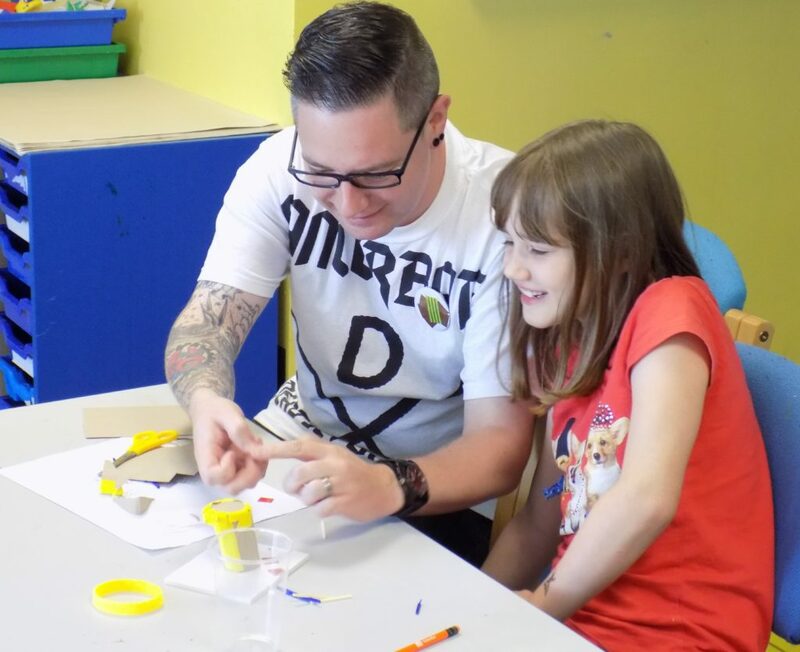 Sleaford’s took place on 1 August, in the National Centre for Craft and Design with families from the town and surrounding area coming to take part. Bethany, Harley, Thomas, Jonathan, Isabel, Darcey, Theo, Olivia (and her Dad Nick) and Emmet (and his Dad Matt) sat down with Dejan and Alice to chew over what a Pavilion was. Thomas said he thought a Pavilion could be made from one material, as in selgascano’s first design for their Pavilion (which was designed with a single piece of plastic – you can see it in The Hungry Pavilion film). It was agreed that a Pavilion could be made from one material or lots of them because it’s a building that can be anything that you want it to be. Thomas’ own Pavilion ended up being inspired by DNA and was multi-coloured. Harley called his The Pleasure Dome and had a theatre as the main area, while Bethany’s was a bird with an eating area in the stomach and a reading room in the left wing. During the workshop she couldn’t decide what to put in the right wing – can you think what you would put in there? 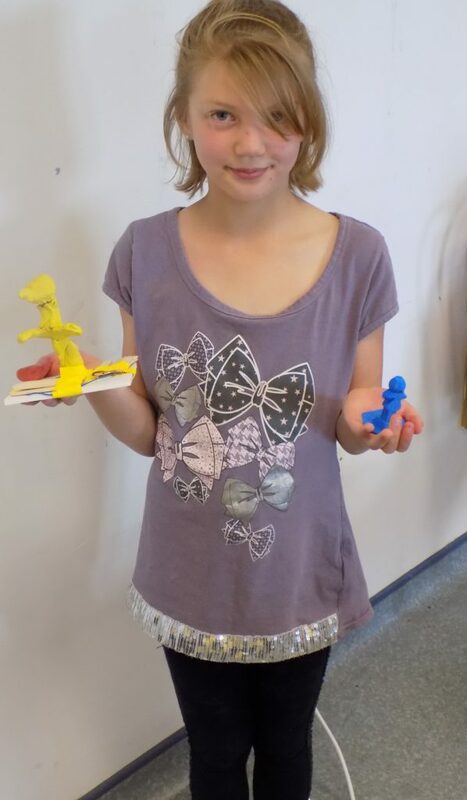 Her’s was chosen to be 3D printed – here she is with both models. 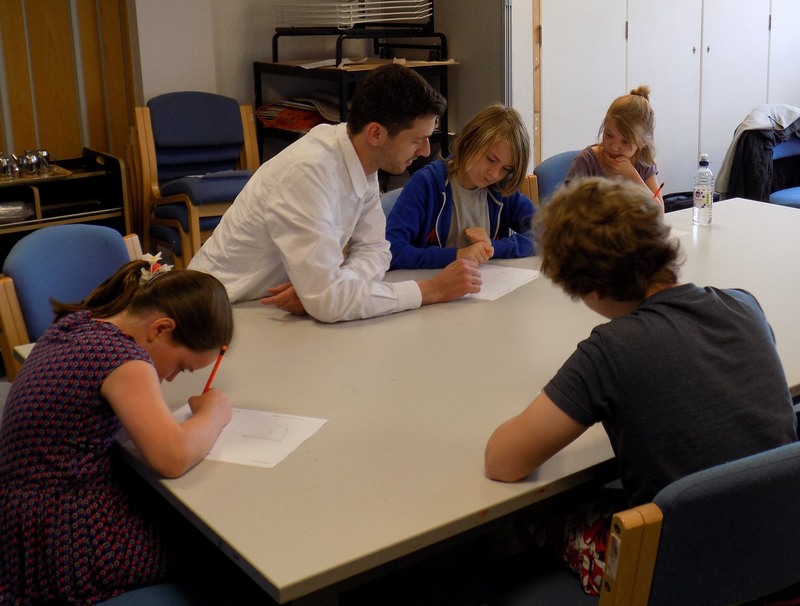 Nick and Matt sat in on the workshop with Olivia and Emmet and worked with them on their Pavilions. Nick and Olivia’s building subtly played with perspective looking straight from the front but slanting like a slide from the side. Matt and Emmet took inspiration from the curved back of Matt’s phone and hanging garden umbrellas, creating a minimalist cubic structure that played with ideas of interior and exterior space. Here they are building it together. You can see theirs and all the other splendid Sleaford Pavilions on the ‘Your Pavilions’ page. We’d love to see yours up there too!